Vitra Miniature Standard chair, Prouvé: Designed in 1934 the Standard Chair is one of the quiet classics of history of design. 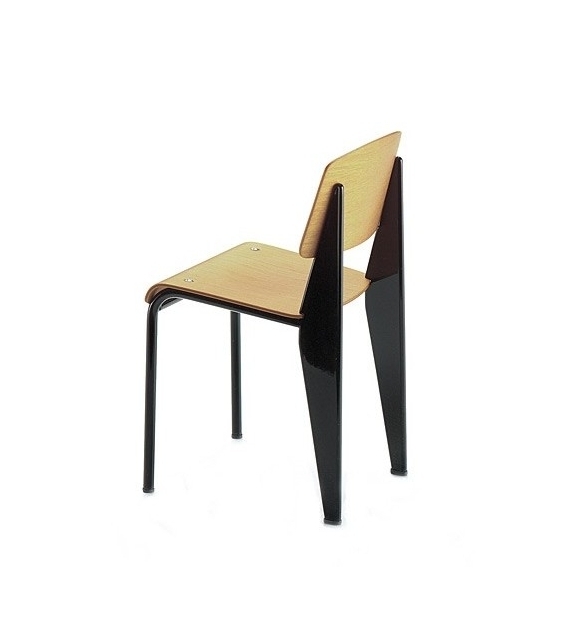 The back and the seat however, which come in direct contact with the sitter’s body, are formed out of plywood. The quality of this chair is revealed in its structure and unassuming aesthetics. Bent plywood, lacquered steel tubing and steel sheet, rubber feet. 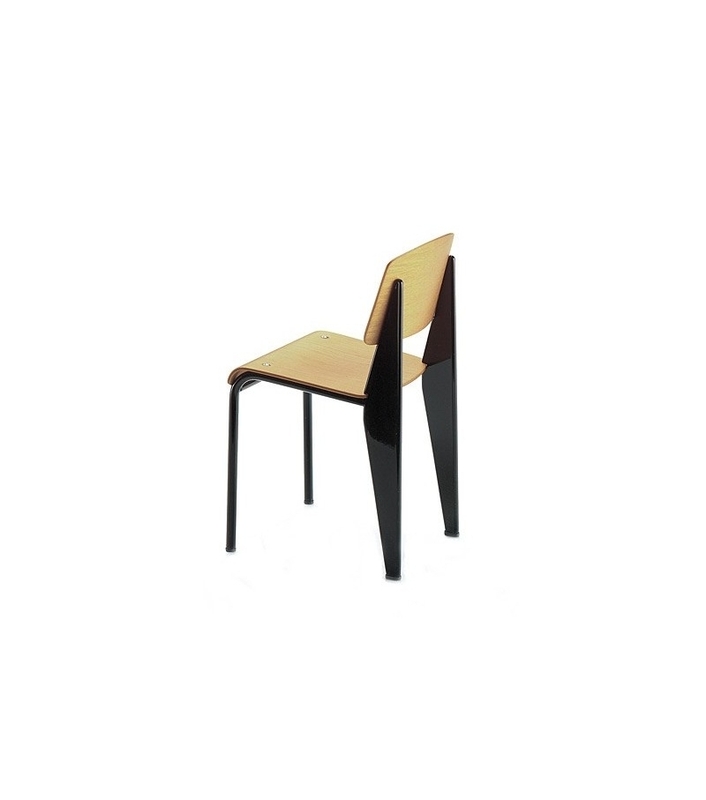 Vitra Miniature Standard chair, Prouvé: Designed in 1934 the Standard Chair is one of the quiet classics of history of design. Prompted by the furniture competition for the Cité Universitaire of Nancy, Prouvé worked on designs combining metal and wood during the early thirties. He utilised the strength of steel for the base of Standard Chair. 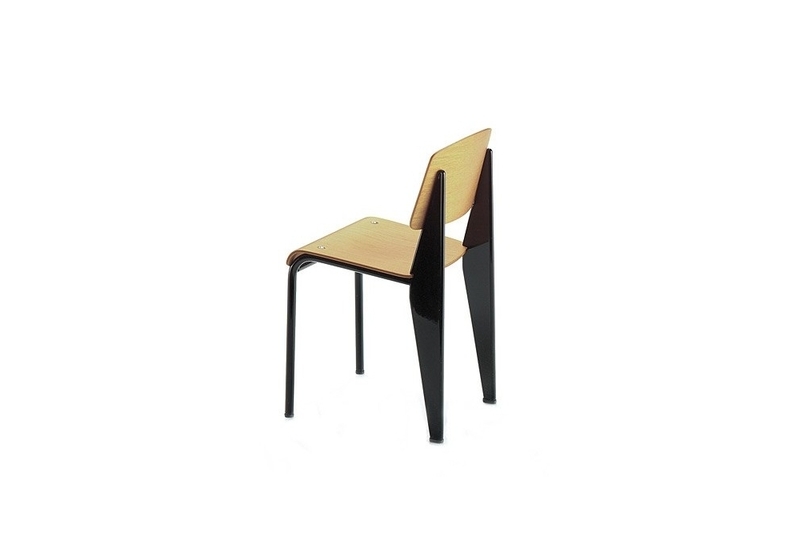 The back and the seat however, which come in direct contact with the sitter’s body, are formed out of plywood. The quality of this chair is revealed in its structure and unassuming aesthetics. Bent plywood, lacquered steel tubing and steel sheet, rubber feet.